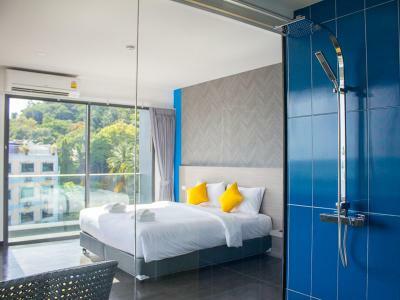 Lock in a great price for Wake Up Aonang Hotel – rated 8.9 by recent guests! Front desk n Housekeeping dept is good.And luv the 24hrs free coffee n biscuits too. 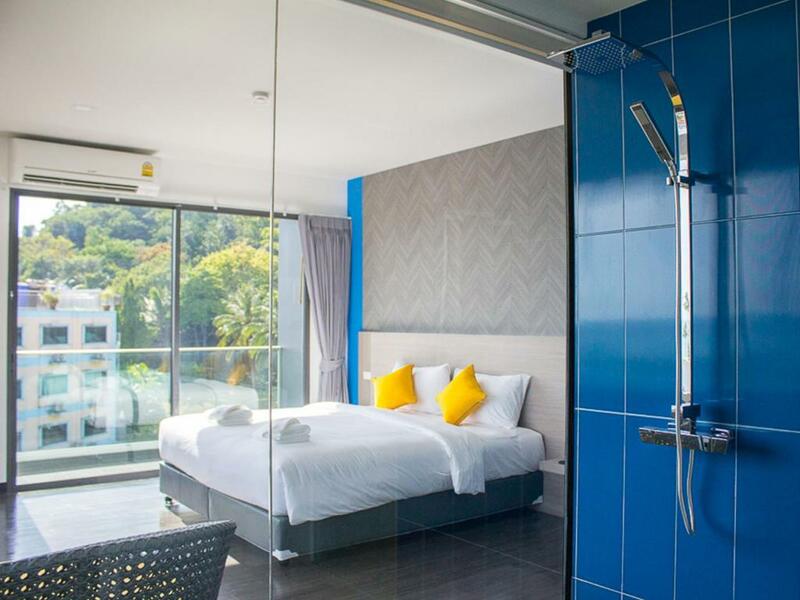 The room itself was great, clean, with a separate shower stall (rare in Thailand). The location was great, near the beach. The staff was friendly enough. They offer free snacks and drinks at the lounge. The room was clean enough. The rooftop has a very good view of the sea. Near restaurants and other shops. The rooftop was something interesting although we aren’t party couple is something that we’ve enjoyed. The breakfast was really good and the pool as well. The free coffee was good too. Clean, convenient, comfortable. Wonderful and helpful staff. Great location. Within walking distance to the beach. Lovely reception area. 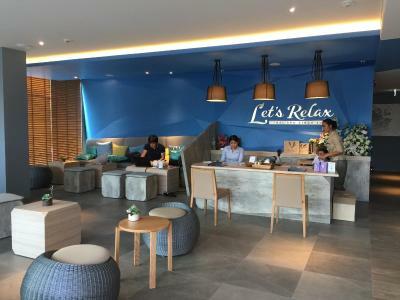 It was clean, comfortable and there where cookies, coffee and water at the lobby for guests. 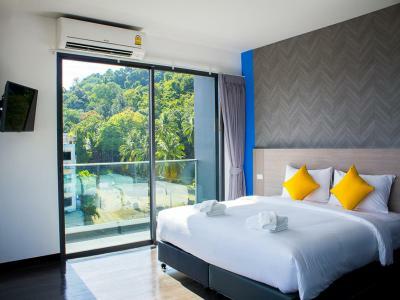 Wake Up Aonang Hotel This rating is a reflection of how the property compares to the industry standard when it comes to price, facilities and services available. It's based on a self-evaluation by the property. Use this rating to help choose your stay! 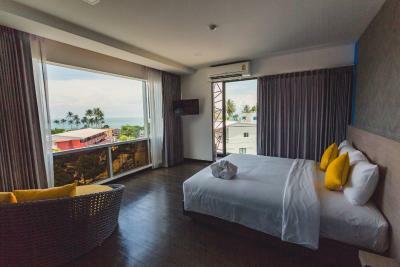 One of our top picks in Ao Nang Beach.Wake Up Aonang Hotel is a short walk from the Ao Nang Beach and free WiFi is available. 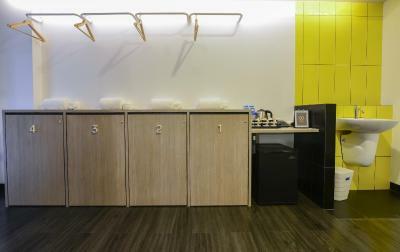 Guests can enjoy meals at the on-site restaurant. Each room at this hotel is air-conditioned and has a flat-screen cable TV. 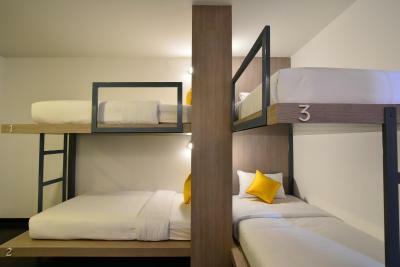 You will also find a kettle, refrigerator and a desk in the room. 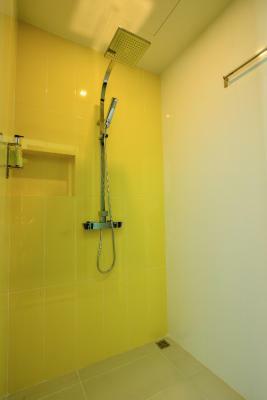 The private bathroom offers a shower, hairdryer and free toiletries. There is a 24-hour front desk at the property. Laundry services are available and a daily maid service is provided. 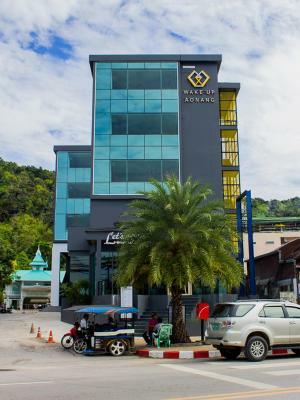 Wake Up Aonang Hotel is surrounded by shops, restaurants and tour operators. 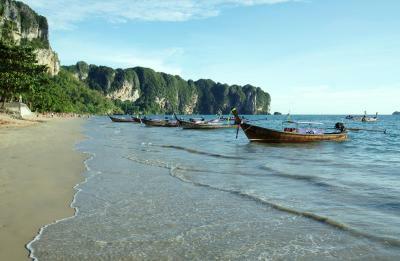 Nopparat Thara Pier, where guests can catch a ferry to Phi Phi Island, is 2.1 mi away. 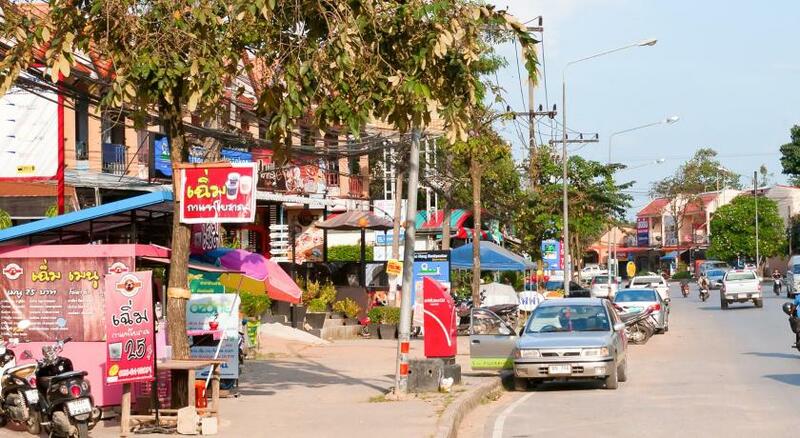 The nearest airport is Krabi Airport, a 35-minute drive from the property. 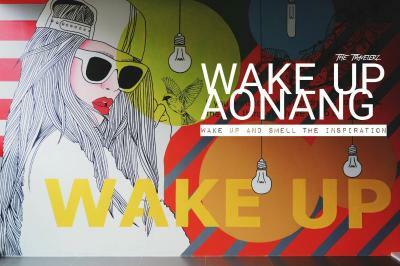 When would you like to stay at Wake Up Aonang Hotel? This twin/double room has a balcony, satellite TV and coffee maker. 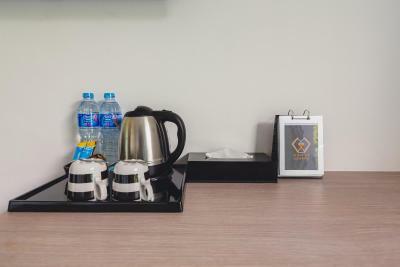 This double room features a tile/marble floor, coffee maker and air conditioning. This quadruple room has coffee maker and tile/marble floor. 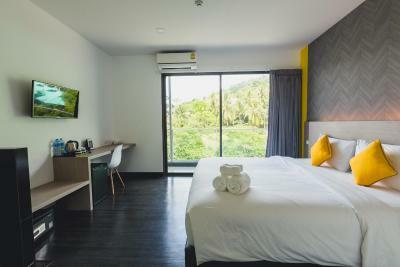 House Rules Wake Up Aonang Hotel takes special requests – add in the next step! 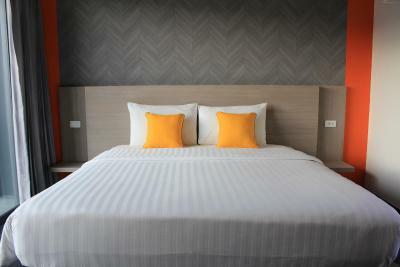 Wake Up Aonang Hotel accepts these cards and reserves the right to temporarily hold an amount prior to arrival. Everything. The location was very good. Service excellent. Really recommended. Facilities was the best. Value for money. Maybe an extra mirror in the bedroom. Bit baffled about why the sink is in the room and not in the wc. The lobby is cool but could do with some low music or something to give it a bit of atmosphere. Felt clean airy and modern. Loved the wall art. It’s very basic but feels stylish. Thanks for the coffees and the window beds are great. The location is perfect, free flow of chocolate /coffee drinks served was perfect too! 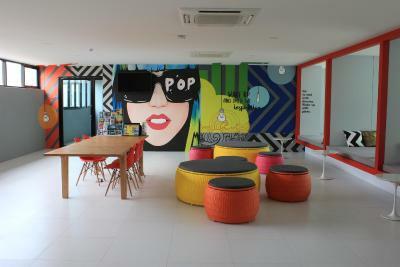 Lobby is nice, rooms are spacious and well air conditioned. Location is excellent! 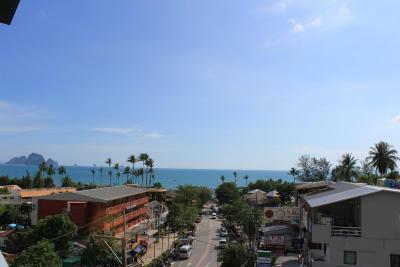 Short walking distance to the beach and many restaurants around the hotel. Staffs are friendly and helpful! 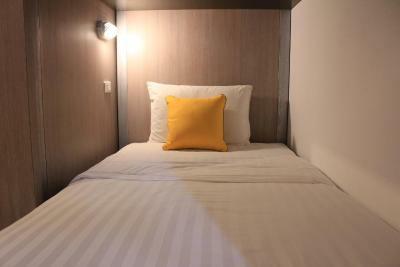 The room is very clean and comfortable with affordable price. Very good and clean facilities..very close to beach 200 mts and close to shopping. Near to amenities. Easy access. And honeymoon decor is awesome! The air-con can’t really bear Thai super hot weather. Maybe more BTU (bigger air-con) or an extra fan? We loved this hotel, we even ended up booking an extra night it because it was so comfortable! The location was absolutely perfect so close to he beach and there were endless restaurants and shops and bars around it. The staff were great and always there if you had any questions! We were given one room for our first 3 nights and then had to move for the 4th night which was no issue with us! 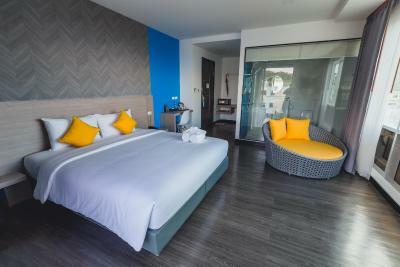 The rooms were spotlessly clean and cleaned everyday! Bed was one of the comfiest we’ve had around Thailand! The pool was in the hotel behind this one but was so nice aswell and always had beds available! Couldn’t fault this place at all. Great location. 3 min walk to the beach and the main drag. You can also use the Swimming pool next door which has a bar. Very clean and efficient staff. Would recommend staying here. Cleanliness could be better. It was ok, but long black hair on balcony and shower. I am bald, it couldn't be me.